DAVID LE/Staff photo. 5/7/15. 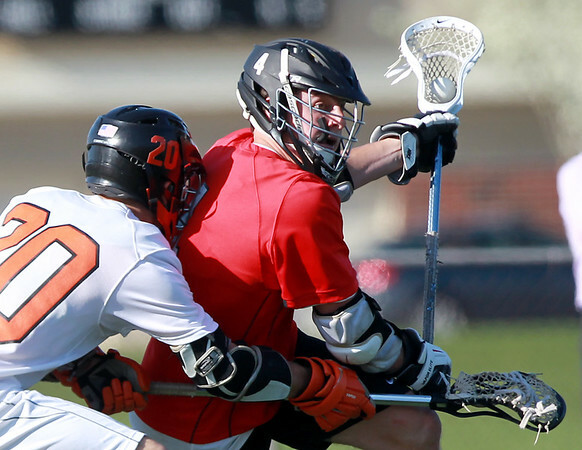 Marblehead senior captain Brooks Tyrrell (4) bulls his way past Beverly senior Elias Crandell (20).